Join Frank Kuntz, co-founder of the Nokota Horse Conservancy®, to learn about and meet several historic Nokota® horses. Today’s Nokotas® are descended from generations of wild horses that lived in the rugged LIttle Missouri Badlands in western North Dakota. Their ancestors include Native American horses and frontier ranch horses. A century of natural survival pressures selected for the phenotype we observe today that is true to the original type of the Indian horses of the Northern Plains. Recent research has provided some surprising and intriguing clues about the possible origins of these remarkable survivors, now numbering fewer than 1000 world-wide. 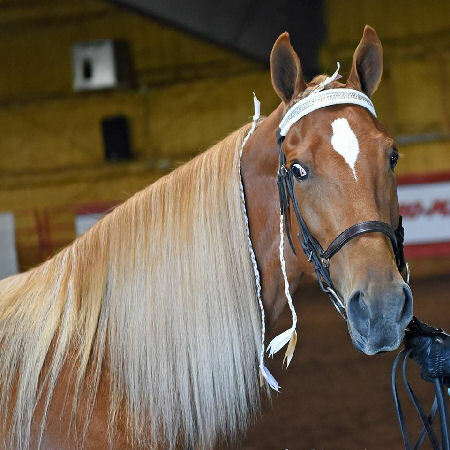 The Nokota Horse Conservancy® founder, Frank Kuntz, will present an overview of the history of the Nokota® horses and will discuss their conformation, attributes and disciplines using several ambassadors of the breed and their owners. Presentation will be followed by a question and answer session where audience members can learn more about the Conservancy's efforts to save this rare breed. Come see Peruvian Horses “up close” in the Horse Barn Ring! Learn about the Peruvian horse's unique gait & that “termino” which offers such a smooth ride along with traditional history and training of the breed. 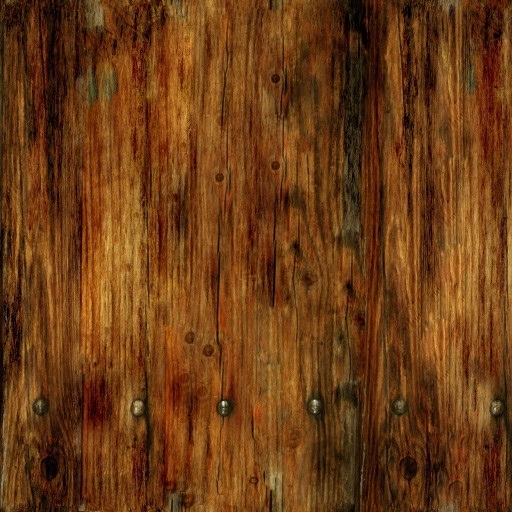 Also take a closer look at that unique handcrafted tack made in Peru. Did you know Peruvian horses may also be ridden with any well fitted Western, English, or Plantation gear? Learn more about the Northern Lights Peruvian Horse Club. 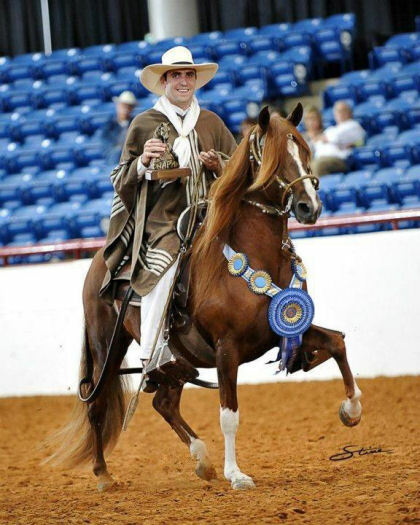 Members enjoy camp and trail rides, expos, clinics and shows including our regional show the Fiesta Del Norte on August 10th & 11th 2019 at Iowa Falls, Iowa. Visit more than 20 Peruvian Horses today in the Horse Barn. We have 2 aisles: West side in Horse Barn - Northern Lights Peruvian Club and East side in Horse Barn - Railview Peruvians. The Tennessee Walking Horse, ride one today - own one tomorrow! Find out why so many horse enthusiasts are switching to this breed. Please join us Friday and Saturday at 1:00-1:30 at the arena in the horse barn to meet this amazing breed up close and personal. There will be a gait demonstration, demo horses to meet and owners and riders to speak with. Stop by our stalls, in the Horse Barn, 117-124.